We are delighted to invite you to celebrate 20 years of Highbury Korfball Club in style! On 22nd September 2018, 20 years of Highbury korfballers are coming together for an evening of food, drinks and celebrations. For one night only. If you can’t view the above form, click here for the non-embedded version. We’ve invited everyone who has ever been a member as far as our memories stretch, if you would like to know who has been invited or if you think we might have missed someone let us know! Arrive from 6.30pm, where you will be treated with a bubbly drinks reception and delicious two-course feast at a prime central London spot – Abbey Bar (EC3N 1DD). You will have a chance to share memories and party with a cast of Highbury favourites, past and present. Our hosts are offering a 50% off happy hour until 8pm. Our compère, one Moses Hutchinson-Pascal, will lead proceedings, before we see the night away with our own DJ until the early-hours. There will be games and entertainment throughout the night. We will be organising a tournament at lunchtime for all generations of Highbury korfballer to play in. 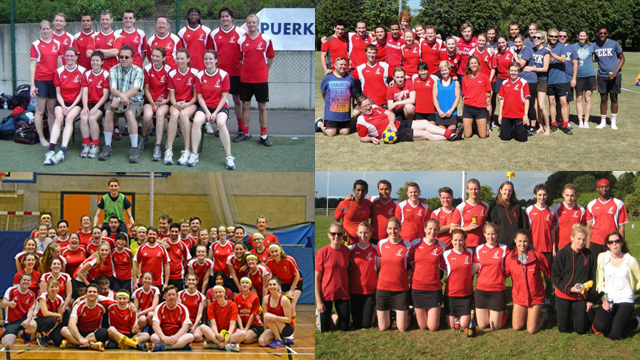 A lot has changed since we were founded back in 1998 as Arsenal Korfball Club! Click here to read our history. Got a question? Drop richard.hayward86@gmail.com an email. We cannot wait to party with you, Highbury style!